group_inou consists of two people, imai (track producer) and cp (vocals). group_inou combines video-game like instrumentation with an almost punk-like approach to hip-hop. The groups' music is extremely feel good, but also rings in with a sort of nostalgia in their chiptune sound that makes guys like me weep bittersweetly. I never really cared for much Japanese rap before, most of it I feel is an embodiment of Western culture, most of it being typified by people who are influenced by white youth who in turn themselves are trying to embody black culture. So basically, Japanese people trying to act like white guys who are trying to act like black guys. This may be a bit generalized, yes, but I feel that group_inou is one of the few rap groups I have heard from Japan that actually sound purely Japanese. I mean, how many cheesy Engrish hooks can you hear in group_inou's music? Not any really. With that being said, group_inou is something unique, something amazing, but something that may not be appreciated among everyone due to it being quite unorthodox, especially in comparison to Western rap. But for those who are open to something a little different, perhaps even challenging to your current perception of rap, then group_inou will more than likely win a place in your heart. 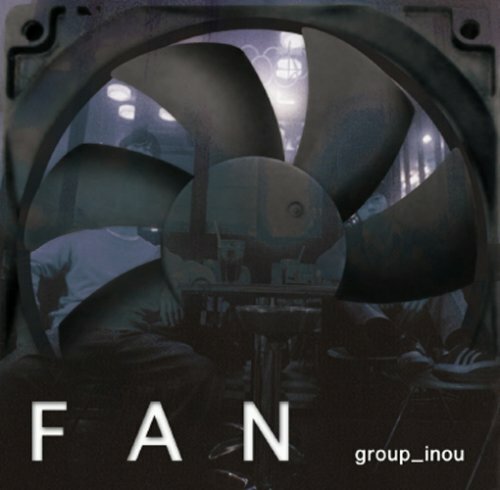 FAN has become one of my favorite albums from Japan. ah damn. any chance on a re-up? Have you heard their second single?